Modified Bitumen Roofing - San Diego Roofing Inc. Modified Bitumen roofing is an asphalt-based, close cousin of the Built-up-Roof (BUR) designed for buildings with a low-slope roof or “flat” roof structure. 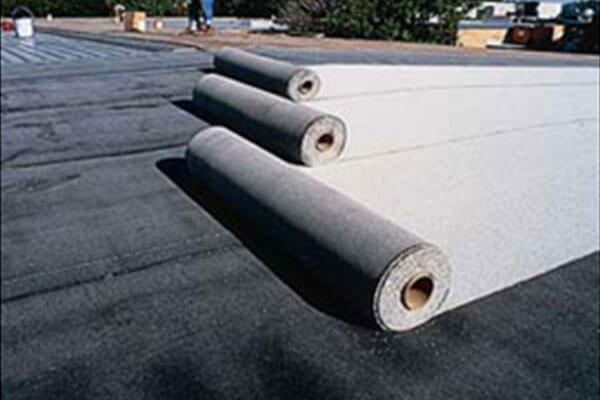 Modified Bitumen roofing is an asphalt that has had modifiers added to it to give it plastic or rubber-like properties. San Diego Roofing employs roofing contractors that are experienced with modified bitumen in both commercial and residential applications. Our licensed roofing contractors will install your modified bitumen roof quickly and professionally. Modified Bitumen roofing systems create watertight barriers that perform for many years at a time due to the multiple layers. When built-up, these layers of bitumen exhibit exceptional resistance to conductivity of heat between the exterior and interior of a building. This generates noticeable reduction in cooling costs. 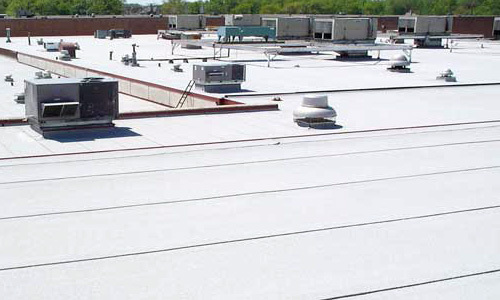 Contact San Diego Roofing today to discuss using modified bitumen roofing for your project.